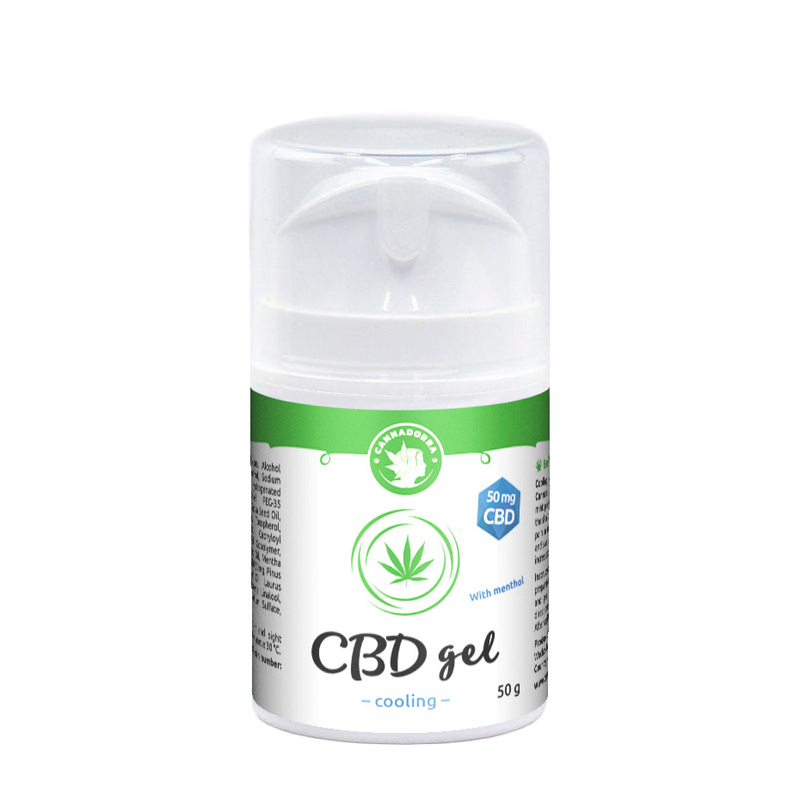 CBD cooling menthol gel - contains 50mg of CBD. It is suitable for rapid relief of stiffness and pain in muscles, effusions, and swelling. Removes the feeling of fatigue after increased physical exertion. Cooling menthol emulsion gel with CBD - Cannabidiol, hemp seeds oil and essential oils of mint, pine, and laurel. It is suitable for rapid relief of stiffness and pain in muscles, effusions, contusions, rheumatism, and swelling. Removes the feeling of fatigue after increased physical exertion. Contains 50 mg of CBD. Apply a small amount of the preparation to affected areas (legs, neck, back, etc.) and gently massage.